i. Guwahati now has India's first railway station run by solar power. The project of installing solar panels was commissioned in April 2017. Around 2352 solar modules with a capacity of generating 700 kwp has been set up over the roof of the Guwahati railway station. ii. Solar panels have been installed at the roof-top solar power plant. The solar-powered station is aimed at reducing carbon-footprint as well as cut down power costs drastically. The project cost is estimated to be Rs 6.7 crore, as per Indian Railways. i. As per the Swachh Survekshan-2018 results, Indore has once again emerged as the cleanliest city in India. Bhopal has been ranked 2nd and Chandigarh 3rd in the survey at the national level. The announcement was made in New Delhi by Housing and Urban Affairs Minister Hardeep Singh Puri. ii. Besides, Vijaywada in Andhra Pradesh is India’s cleanest big city with a population of over 10 lakh. Ghaziabad in Uttar Pradesh is ‘Fastest Mover’ big city. New Delhi Municipal Council is country’s cleanest small city having a population between one lakh to three lakh. Jharkhand has been declared the best-performing state, followed by Maharashtra. i. For the first time, an international rail coach expo, displaying rail coaches and train-sets, has been held in Chennai. Reputed railcar and equipment manufacturers showcased their technology and products at the expo, which was a unique platform to bring different suppliers under one roof and create synergy for "Make in India". ii. The expo is being hosted by the Integral Coach Factory (ICF), under the Ministry of Railways, in coordination with the CII (Confederation of Indian Industries) and RITES Ltd, a PSU under the Ministry of Railways. · Mr Piyush Goyal is the Present Railways Minister of India. i. The World Telecommunication and Information Society Day was observed across the world on May 17. The theme for WTISD was "Enabling the positive use of Artificial Intelligence for All". ii. The day aims to help raise awareness of the possibilities that the use of the Internet and other information and communication technologies (ICT) can bring to societies and economies, as well as of ways to bridge the digital divide. · The World Telecommunication Day is celebrated annually on May 17 since 1969.
i. Tata Steel, whose bid for debt-ridden Bhushan Steel was approved by NCLT, would implement the resolution plan through its step-down subsidiary Bamnipal Steel Ltd. Bamnipal Steel would invest in the debt-ridden company and acquire control on the closing date. ii. As per the terms of approved Resolution Plan, Bamnipal Steel Limited (BNPL), a wholly-owned subsidiary of Tata Steel, will initially subscribe to 72.65% equity share capital of BSL at face value i.e. at Rs 2 per share, for an aggregate amount of Rs 158.89 crore. i. Indian American Congresswoman Pramila Jayapal’s sister Susheela Jayapal became the first South Asian to be elected in Oregon in the western US State. ii. She will represent North and Northeast Portland commissioner’s seat. Susheela, a former corporate lawyer and longtime community volunteer, defeated construction contractor Sharon Maxwell and two others. i. The Supreme Court refused to stay BJP leader B S Yeddyurappa's swearing-in as Karnataka Chief Minister, paving the way for the formation of his government. 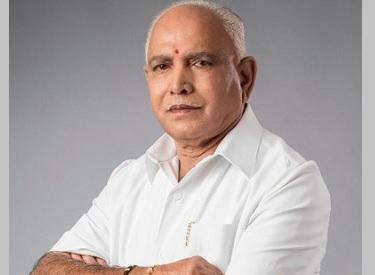 He took the oath as the new Chief Minister of Karnataka. ii. After hearing the matter for more than three hours beginning, a three-judge bench of Apex court, comprising justices A K Sikri, S A Bobde and Ashok Bhushan, directed that the letter sent by the BJP to the governor for forming the government be placed before it. · Vajubhai Vala is the Governor of Karnataka. · Ghatprabha Hydroelectric Project is located in Karnataka. i. The President of India has appointed Uttam Pacharne, as regular Chairman of Lalit Kala Akademi. Mr Pacharne is an eminent artist and sculptor. ii. He is the recipient of National Lalit Kala Award 1985, Maharashtra Gaurav Puraska 1985 from Government of Maharashtra, Junior National Award 1986 and Jeevan Gaurav Puraskar 2017 from Prafulla Dahanukar Foundation. iii. Previously, Mr M.L. Srivastava, Joint Secretary (Akademies), Ministry of Culture was appointed Protem Chairman of the Lalit Kala Akademi.